A group of about 60 apartment tenants is suing one of New York City’s largest landlords, alleging that Stellar Management illegally overcharged tenants for four years. The tenants, who live in more than a dozen different buildings, allege that Stellar received a tax abatement given to landlords who renovate older apartment buildings, but didn’t comply with a requirement that it cap rent increases for the duration of the benefit, according to a complaint filed in the Supreme Court of the State of New York on Tuesday. The tenants allege that Stellar also raised rents on regulated apartments by claiming it had performed renovations worth far more than was the case. In one instance, Stellar said it completed $117,000 worth of renovation to an individual unit but the actual refurbishing was worth a fraction of that, according to the complaint. The lawsuit stems from an investigation by the Housing Rights Initiative, a nonprofit group that helps organize tenants who allegedly have been overcharged, in hopes of filing lawsuits seeking class-action status. The aim is to give them more ammunition against landlords, who historically have enjoyed better access to legal representation. Organizing tenants into class actions also makes it easier to pursue cases on contingency. “They’re not just cheating our affordable-housing system, but they are cheating our tax system,” Mr. Carr said. New York City-based Stellar Management owns more than 12,000 apartments in 100 buildings in New York and Miami, according to the firm’s website. Filomena Reyes pays about $1,900 a month for a three-bedroom apartment in the northern Manhattan neighborhood of Inwood. She said her unit wasn’t registered as rent-regulated between 2008 and last year, even though Stellar had received the J-51 tax benefit. 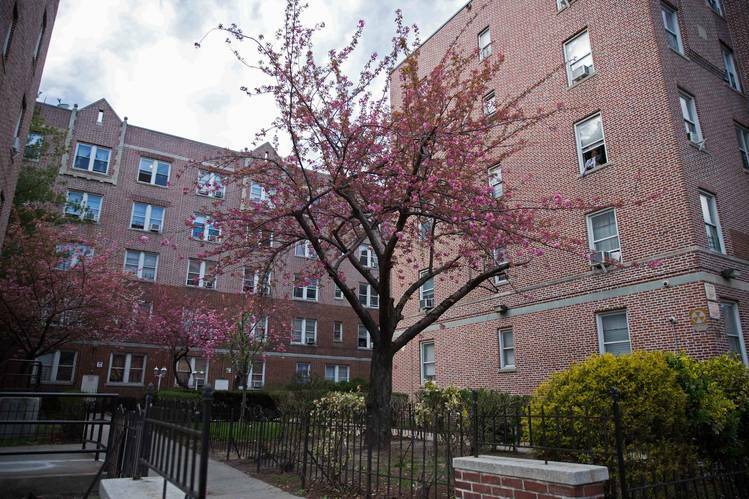 The case is reminiscent of an infamous situation involving the 11,200-unit Stuyvesant Town and Peter Cooper Village complex on Manhattan’s east side. In that instance, the tenants won in appellate court in 2009 and some saw rents go down by $600 to several thousand dollars a month. The city’s rent-regulation laws, which cover some 2.5 million rent-stabilized tenants, have proven difficult to enforce. The city and state largely rely on landlords to self-regulate, and it is difficult for tenants to find out if they are being overcharged, Mr. Carr said. A similar lawsuit filed last year against A&E Real Estate Holdings involving nearly 70 New York City tenants is seeking court approval to move forward as a class action. Michele de Milly, a spokeswoman for A&E, has said the company complies “fully with all laws” governing rent-regulated housing.